The fifth of April, 2011 was the first day of the Hebrew month of Nissan (נִיסָן). Nissan is referred to in the Torah as the first month of the year – רֹאשׁ חֳדָשִׁים (Rosh Hodashim). In the Torah the months are counted as the first month, second month, third month, etc. Nissan is a month of change and growth: Winter turns into spring; cocoons transforms into butterflies, buds become flowers. This is a month of cleansing, not only on the physical level of cleaning the house, but also on the emotional level of cleansing the heart. This is a month of freedom, of making your own choices, of leaving (rather than escaping) negative situations. This is a month of great belief in God’s help and support. On the evening of the 15th of Nissan (ט"ו בְּנִיסָן), which falls this year on April 18th, Jews in Israel and all over the world will begin to celebrate Passover (פֶּסַח). This holiday commemorates the Exodus of the Israelites from Egypt after a long period of slavery, as described in the book of Exodus in the Torah. The liberation of the Jews from slavery in Egypt has achieved universal significance for liberation of nations or of ethnic groups wherever they are! The Torah commands Jews to tell the story of the Jewish liberation from slavery in Egypt, so that each generation will learn and appreciate the strength and kindness of God. To fulfill this obligation, Jewish people all around the world hold a ritual feast called Leyl Haseder (לֵיל הַסֵּדֶר) in which they read the Haggadah (הַגָּדָה) – the story of the Jewish liberation from slavery in Egypt. As Jews celebrate Passover, they are immersed in a time-honored custom. 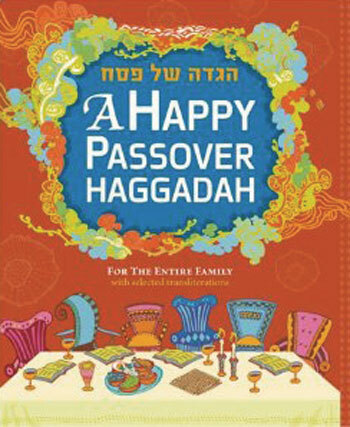 Special holiday traditions are reserved just for this time of year, such as the seder plate, the four glasses of wine, the many different foods, and the reading from the Haggadah. The serene vision of a family table really makes for a beautiful picture. We wish you a wonderful month, a month of liberation and hope, a month that will allow you and our world to heal and transform to a better place. ...פֶּסַח שָׂמֵחַPesach Sameach! Happy Passover!